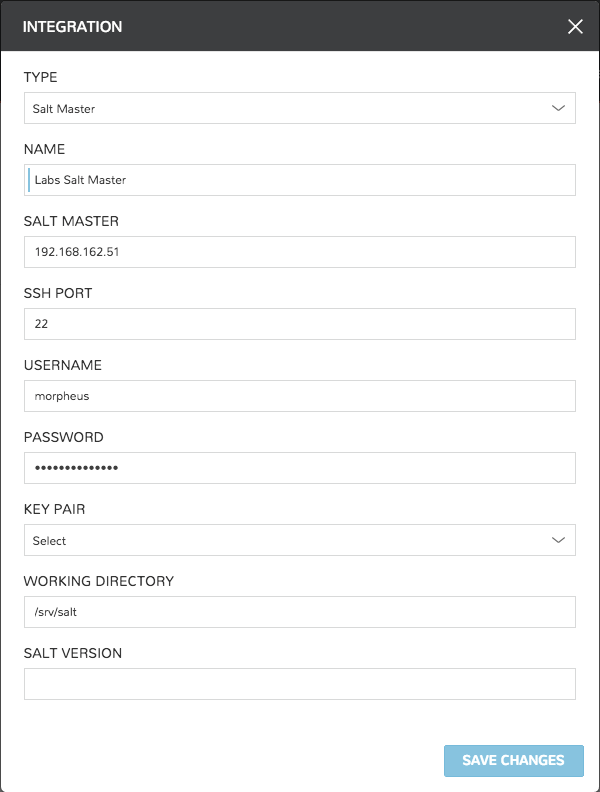 Morpheus integrates with an existing Salt Master for seamless deployment of Salt States to Minions provisioned from Morpheus . 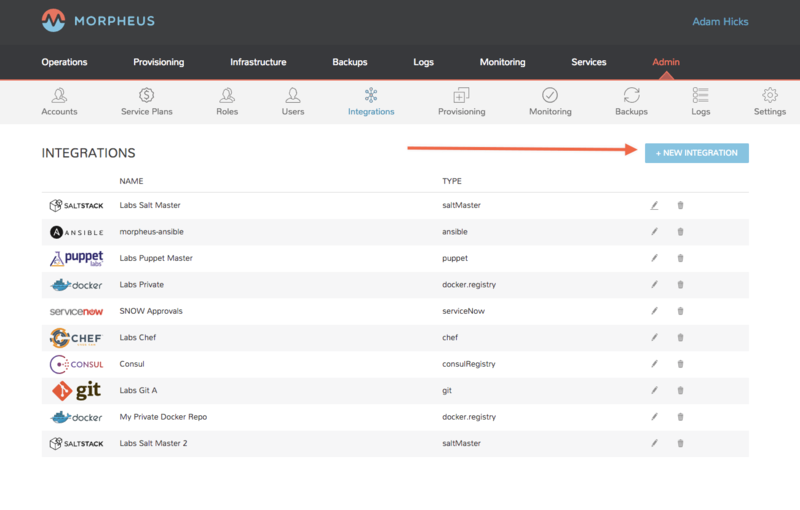 To get started browse to Admin -> Integrations from within Morpheus . 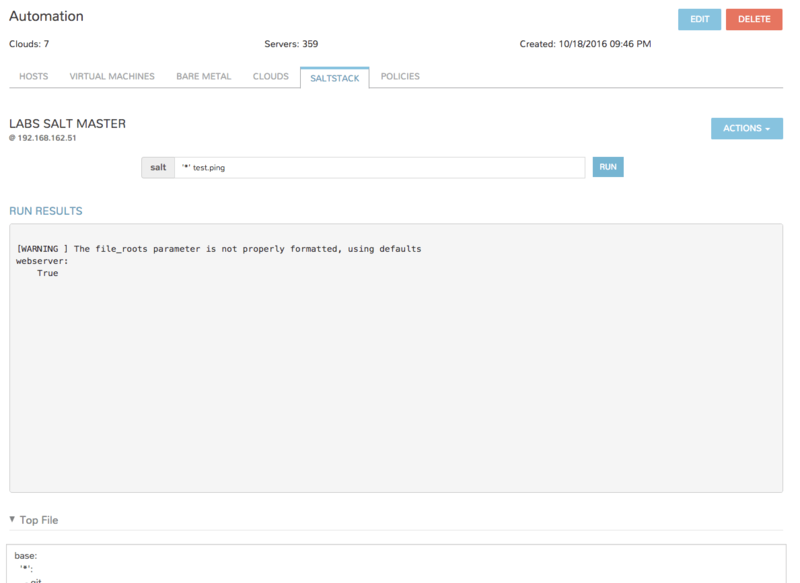 And then scope the integration to your existing Salt Master by ip address. Make sure that the username entered is one with proper escalation privileges for running Salt, and point the Working Directory at the directory on your Master where your States live. 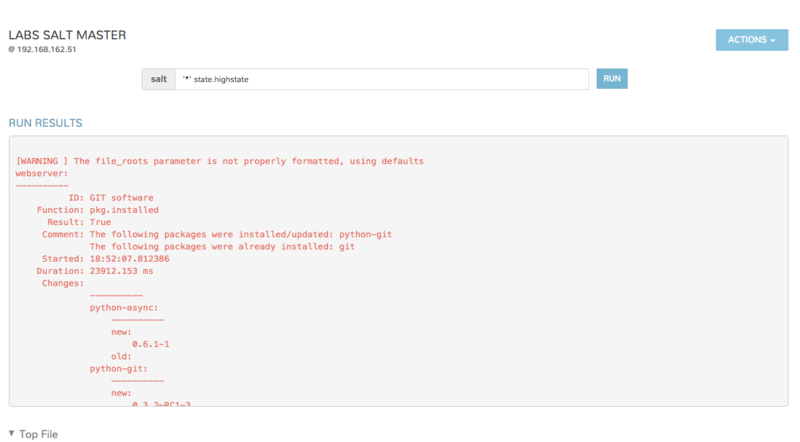 Configuration Management integrations like Saltstack apply to the Infrastructure Group abstraction in Morpheus . 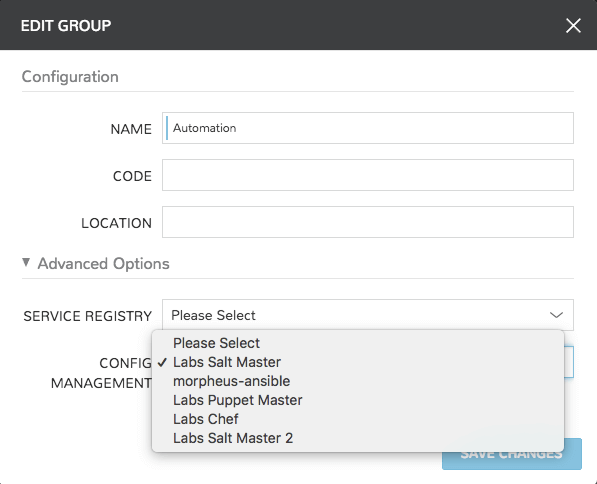 To ties yours in, browse to Infrastructure -> Groups in Morpheus and select the group that you would like to tie to your Salt Master. 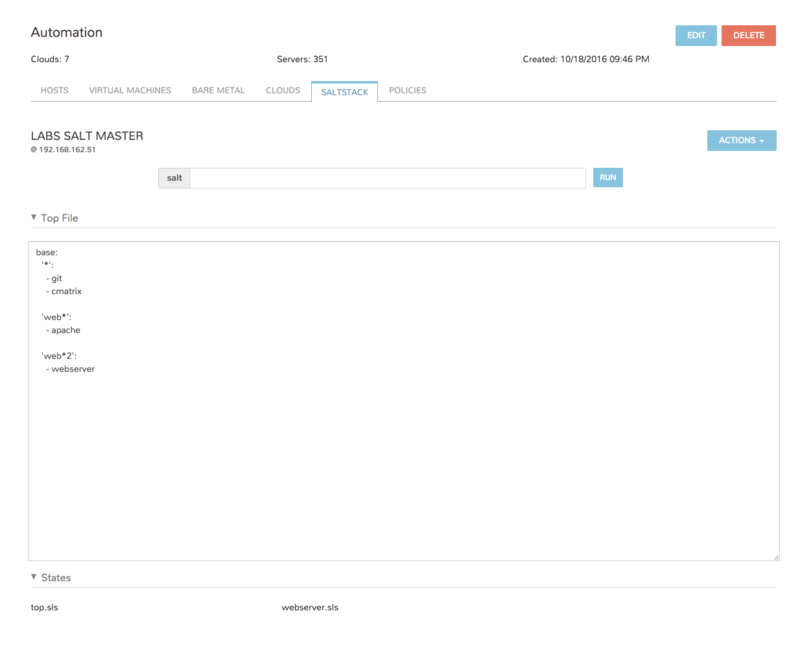 And from the options toggle Advanced Options and select your Saltstack integration in the Config Management dropdown. will return empty unless there are existing Minions with accepted keys on the Master. However, provisioning Minions via Morpheus is extremely easy. 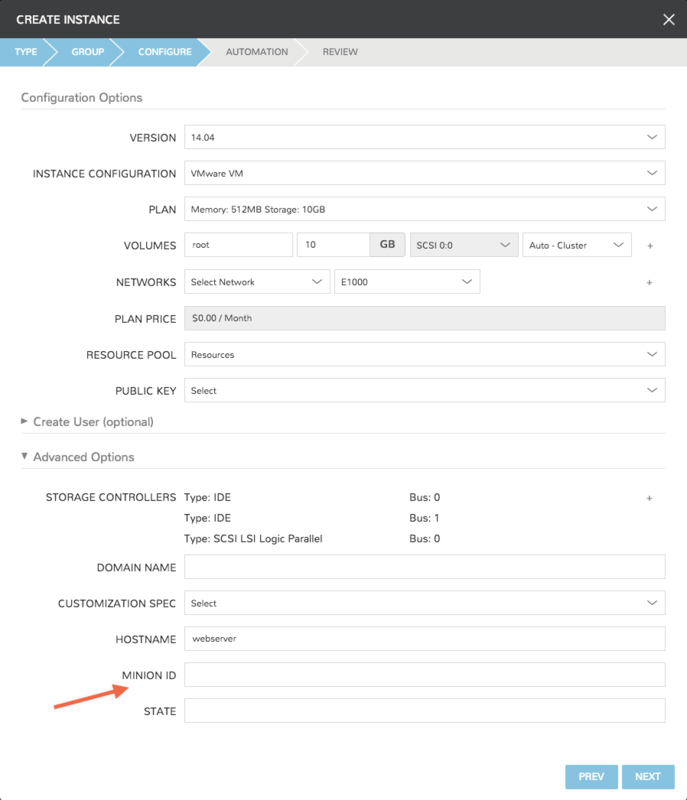 Minion ID defaults to the hostname, and a State can be applied directly at provision time. 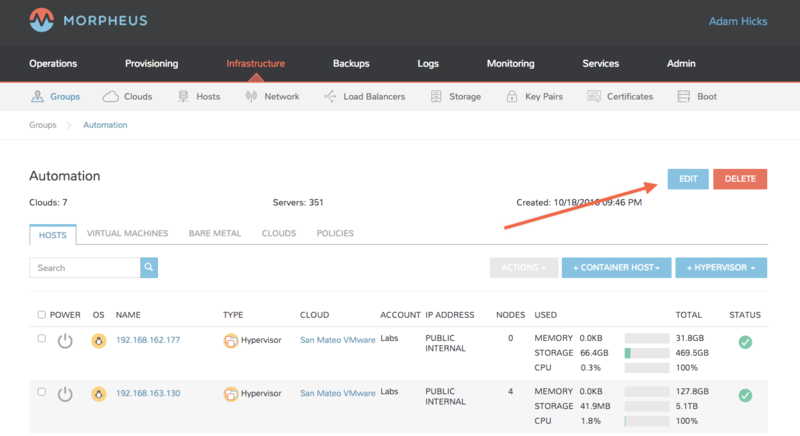 Once your instance is provisioned and key negotiation has completed you will be able to access it and run commands via the integrated Salt command center in your Group. If you did not apply a state at provision time now you will be able to run State commands through Morpheus . 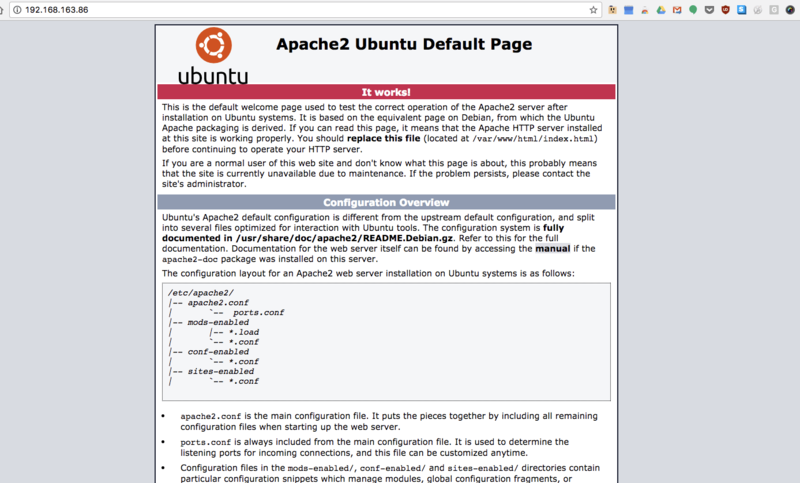 In our example the Apache State from a git backend was applied successfully to our newly created vm.